Join us for this premiere studio event! 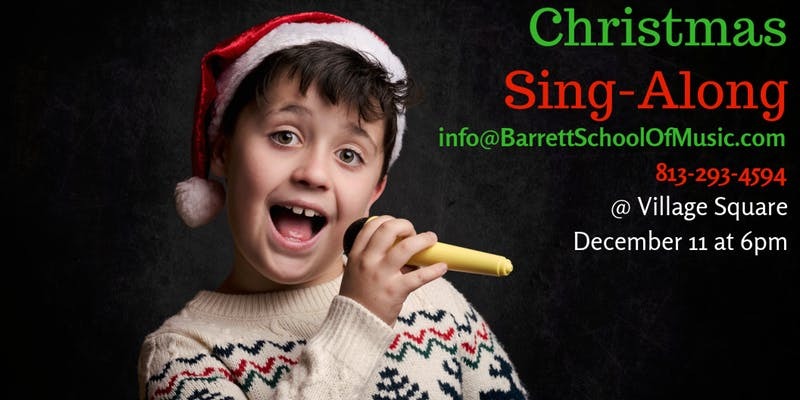 Students of all ages are welcome to join us for this laid back evening of laughter and singing. Wear your favorite Christmas outfit or pjs. Bring your coziest holiday blanket or slippers. We'll take tons of cute photos and videos and take song requests from everyone. And parents, you're in luck! Village Square is attached to the Westshore Mall, so you can get some holiday shopping done or wind down with a glass of wine. We can't wait to share some holiday cheer with you!